Do Less Right Now, and Hurry Up! 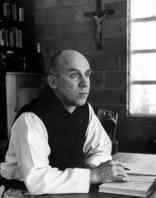 Thomas Merton contemplating. Source: Goodreads, as above. This week on Tuesday I forgot about One Page Salon though I could have gone for part of it, skipped a Bike Austin meeting, didn’t attend the Thursday Night Social Ride even though it was focusing on remembering Jessica Saathoff, and tonight I bailed on a Writers League of Texas event. All because my got up and go got up and went. I just didn’t have the legs, or mental alertness to bike to those events. I could have bused or tried to borrow a car, but didn’t do that either. I admit to a little FOMO (Fear of Missing Out), but in the end, I’m simply relieved to not go. A number of factors have lead up to this. Allergies from oak pollen, which leaves a visible yellow film on cars and things. Whatever’s going on with my knees that has led to less biking and therefore more stress. Not enough good quality sleep, even though I’m sleeping more. And the pressure of not having a place to live in a week. (I’m happy to report than my benefactors have offered a few weeks of reprieve, and I have one possible place, maybe two.) Maybe you can relate to your own version of stress. Less Is More, How Do I Get Some? But Merton was right, it’s overcommitting that wears us down in modern life. Multi-tasking has been shown to be something humans aren’t very capable of doing well. I’m fortunate that I don’t have a spouse, kids or pets to worry about. But I do have plenty to deal with like everyone: paying bills, medical care, cooking, eating, sleeping, bathing, dressing, cleaning, transportation, participating in society through volunteering, keeping abreast of the news, answering emails, washing clothes, doing shopping, personal projects, and of course the daily walking, yoga, biking and writing this book and blog. I’m not complaining, mind you. But my body does seem to be telling me to slow down, take ‘er easy, Dude. Just Do Nothing! So I took Monday off the bike and today I just went to a job fair, about 5 miles total. I had a headache and just wasn’t feeling it. I’m only at 50 miles biked for the week so far — half my goal. And I kinda don’t care. Sure, those events and people might have benefited a little from my presence. However, I’m certain the show went on without A Dude Abikes. So I’m going to make some dinner, put my feet up, and watch James Spader chew up his lines and the scenery on The Blacklist like it’s his last supper (and it looks like he has been following the eating plan of the Hobbits for a while now). Probably followed with a chaser of Blindspot and The Orville. Maybe then an Epsom salt bath, some chamomile tea, and what may be a cure for my insomnia: reading a little in The Fat Chance Cookbook by Robert Lustig. His first book, Fat Chance, was great influence that took a few years but finally convinced me to try giving up processed grains (so far to no visible effect). But reading recipes is deadly boring and a terrific soporific, so maybe I’ll keep at it. I love this thing that Sam told me once, when I was debating riding my seccond Bike Austin Armadillo Classic. I had hoped to do another century, aka 100 miles like I did in October 2016. But I was having a real problem with something, I don’t remember what. And it was cold and windy. So I skipped it. Until we can’t do what we want, tomorrow is another day. Is the world going to stop turning because we don’t kill ourselves trying to meet some arbitrary number of miles? No. So I’ll sleep in, listen to KOOP 91.7 FM’s The Loung Show while having a leisurely brunch. Then maybe I’ll slowly get back on the horse of househunting, go through a few boxes for a garage sale, do some cleaning, some writing, other chores. But not at such a pace I’m going to burn out. If it’s not raining too hard, I may attend a community fair, go to Sun and Ski Sports to check out their tent sale, and put in some miles on the bike as my body allows. I’ll feel fresher for it, have a better attitude, and also be healthier and maybe even avoid getting sick and being forced to rest. If you have the luxury of some time, I encourage you to do less, or nothing, too. When you’re ready, come back with more energy, a positive outlook, spring in your step and sparkle in your eye. The people around you, your body, mind and spirt will all thank you. You just have to give yourself permission.